Knowing the impact of your research is invaluable when you - or your authors - are applying for funding or working towards a promotion. It's important to provide enhanced publication-level metrics to keep your authors informed about how their work is being received in their field. This strengthens their relationship with your journal and encourages them to return with their next paper. Last year, we introduced My Research Dashboard, where the Article Usage Reports and CiteAlert services were combined into one platform. We are now taking this to the next level with the introduction of Mendeley Stats. Mendeley Stats is a personal service that helps researchers measure the exposure and impact of their publications. 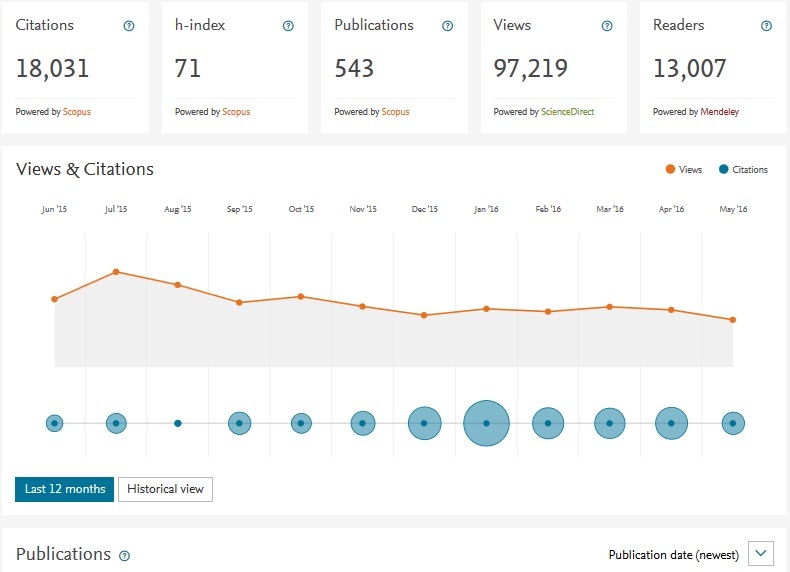 It combines ScienceDirect views, Scopus citations, Mendeley sharing & group activity, and mass media mentions to provide authors with a concise overview of how their published articles are performing. It is free and available to all researchers whose articles are covered by Scopus. In other words, it displays information from all publishers, not just Elsevier, including Springer-Nature, Wiley, and Taylor & Francis. Your articles are automatically added to Mendeley Stats as they are published. Mendeley Stats versus My Research Dashboard – so what’s new? Daily (instead of monthly) updates on article usage, citations, reads and mentions from online media. Mendeley Stats is not a stand-alone platform. Instead there are many more networking facilities allowing you to link to other Mendeley users and those on social media. Integrated Reference Manager - quickly search and select your citation style from a rapidly growing community managed database. Based on your interests and field of study, you will now receive suggestions of other relevant articles in your field. If you are an author of books or book chapters (that are covered by Scopus), you can also view stats on these. Note: If you have an existing account with My Research Dashboard, ScienceDirect, Scopus or any other Elsevier product, you can use those credentials to sign in and start your journey with Mendeley Stats. 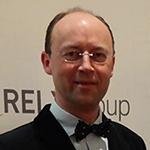 Hans Zijlstra works as a Marketing Project Manager in Elsevier’s Marketing Communications & Researcher Engagement department in Amsterdam. He is responsible for projects focusing on journal and article metrics with the aim of improving our service to researchers.